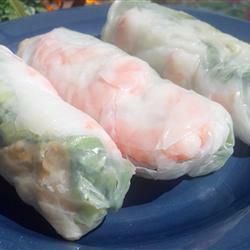 Posted on August 10, 2012, in Appetizers, Finger Foods, Herbs and Spices, Recommendations, Side Dishes, Weight Watchers and tagged Appetizers, basil, cilantro, mint, Shrimp, Spring Rolls, Thai, Thai recipes. Bookmark the permalink. 1 Comment.